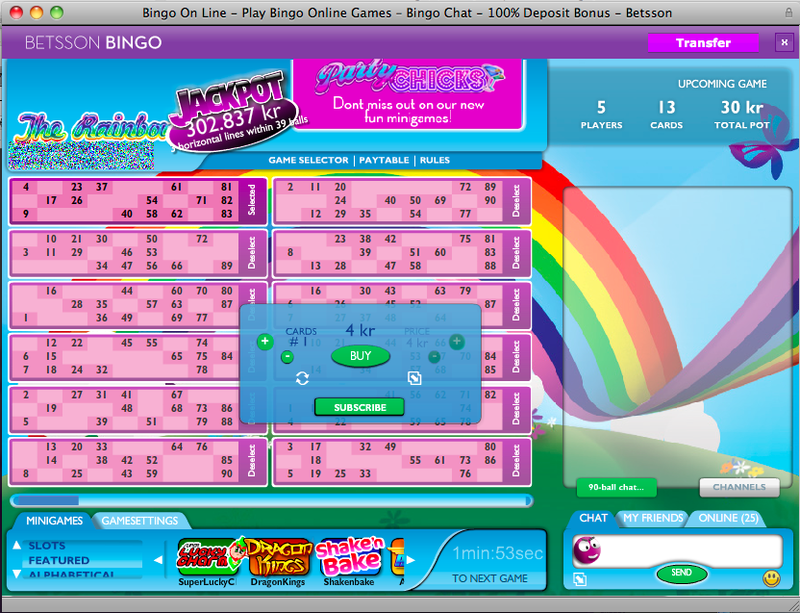 Betsson offer bingo from NYX Interactive to their players. 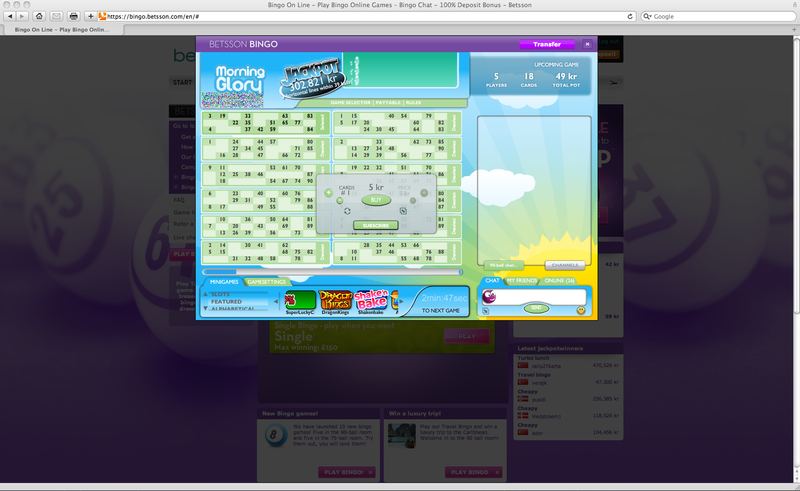 The bingo client works well but I believe that Betsson do a mistake when they open up the bingo client on top of their portal page. Today the bingo client open up in the same window as the Betsson portal without any possibility to modify the size of the bingo client. This is especially frustrating when you use a big monitor. My redesign suggestion is very simple, it actually took less than 15 minutes this time. Open up the bingo client in a new window which the player can resize.